Customers using CRM 2011, 2013, 2015, 2016, or CRM Online can use our Auto-Update feature to download or initiate an update. All updates are free and simple to complete. Not all new features are available for all versions of CRM. See a recording of our new release webinar here. For full details on our new release, please see our July Release Notes & November Release Notes. The Added to List trigger now has an option called "Run on Entire List". This allows you to run your campaign automation on all current members in a selected list as soon as your campaign automation is published. As members are added to the list after the campaign automation is published, those members will also enter the campaign automation. The decision node now has the ability to check fields on lead and contact records. You can also group conditions in OR or AND groups, giving you more flexibility in how you filter where participants proceed in campaign automations. A new action, Campaign Response, has been added to campaign automations. This action will create a new campaign response record for the participant. You can now clone Campaign Automation records, just like other ClickDimensions records in CRM. Text form fields can now be mapped to the Company Name / Parent Account field on contact records. When mapping to the Company Name lookup field on a contact, if the user enters a company name that matches an account record in CRM, ClickDimensions will update the Company Name field with the matching account record. As you add your recipients to an email send record, you can also add one or more marketing lists as suppression lists. When your email is sent, ClickDimensions will not send an email to any recipients listed on any suppression lists. 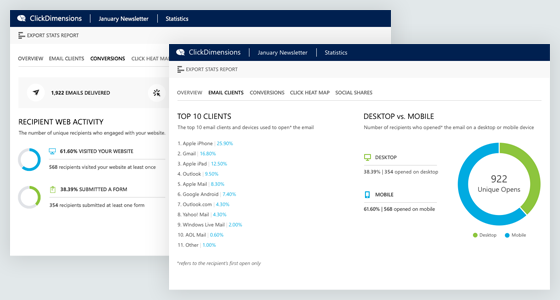 Once an email is sent, ClickDimensions will track which devices and email clients are used to open your emails. These statistics will help you discover which email clients are popular and if the majority of your subscribers are opening emails on desktop or mobile devices. 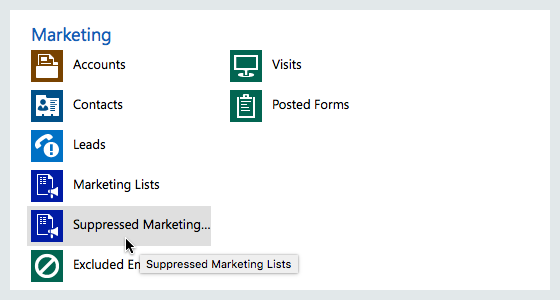 You will also be able to see how many posted forms and website visits resulted from your emails under the Conversions tab. When using Freemarker in email templates, use the new "Check Freemarker" button in our Drag and Drop and Freestyle editors. 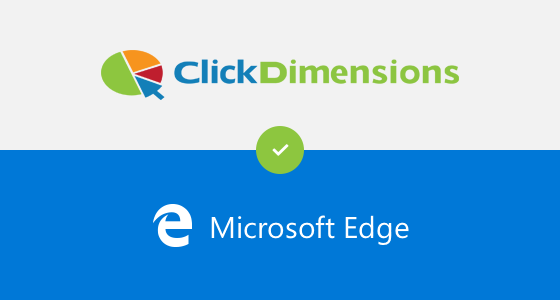 ClickDimensions will check to make sure your Freemarker does not have any errors. Our Quick Send feature has been added to Opportunities so you can quickly send professional and tracked emails straight from an Opportunity record. Phone fields have been added to the ClickDimensions Import tool. A field called "Posted Label" was added to the Posted Field record. This will contain the option label for the chosen response on a picklist field (list, radio, checkbox). Added security roles for our Quick Send feature allows you to limit who has access to this feature in your CRM organization. All Visit records that start with a click from a ClickDimensions email will be connected to the related Email Send. 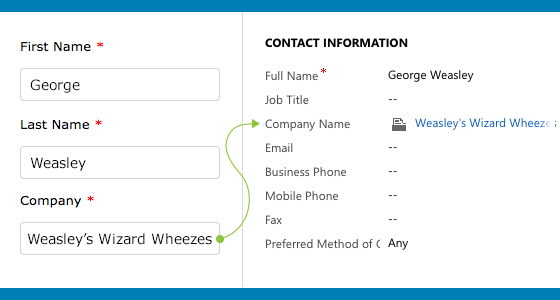 If a form is linked directly in an email and a recipient fills out the form, the Posted Form record will be connected to the Email Send. There are more updates and enhancements included in this release that are not highlighted in this email. You can read more about the July 2016 and November 2016 release on our blog: ClickDimensions July 2016 New Release Sneak Peek | ClickDimensions November 2016 New Release As always, we have also implemented several smaller improvements and fixes. For a detailed break down of all the updates, please see our July 2016 Release Notes and November 2016 Release Notes. BETA features are in their first iteration and may encounter issues when used at scale in production, so we would love to hear your feedback on how well they work for you and if you encounter any specific issues with these features. To provide feedback on the BETA features included in this release, please submit a support request. Provide our team with as much detail as possible – screenshots, error messages and any other information will be very helpful as we finalize these features for upcoming releases.